Suite signs help visitors navigate your business easily! If you are based in a large building or office complex that does not have adequate signage, you are well aware of how frustrating it can be to direct customers to your suite. And, when your conference rooms do not have markers, how do workers set up meetings? To help your clients find you fast and to avoid confusion, Blue Barrel Signs offers suite and office signs for Central Oregon. 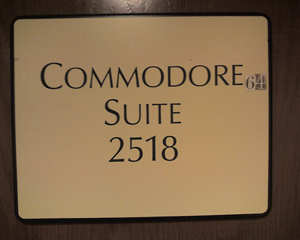 You may envision standard metal or plastic plaques that just feature a room number when you think of suite signs. Building owners and property managers typically require these types of markers. However, if your lease allows you to do so, we recommend that you consider trying custom signage to assist in your branding efforts and give your professional office some flair. Lobby signs brand your business! We are able to use custom colors to match your other promotional materials, create precise designs that follow the rules for your building, clearly mark bathrooms and other amenities with lettering and images, incorporate company logos on room signs, and add braille to any markers. When it comes to office signs, there are seemingly endless possibilities. When creating our room, office, and suite signs, we use wood, acrylic, sign foam, PVC, metal, and other materials. The image you are trying to present should be the main guide as you choose materials. Signs made out of stone or wood are a smart choice for massage therapists, holistic healing providers, and any enterprise with a focus on natural products or services. 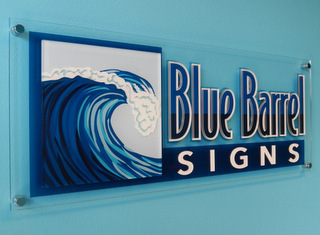 Illuminated acrylic lobby signs are popular among tech companies looking to demonstrate that they are trendsetters. Also, long lasting metal signs are ideal for showcasing an organization’s longevity in a certain sector. Don't forget the ADA signs! Suite Signs – If you manage an office complex with several tenants, suite signs are a must to help guests find their way around the facility. 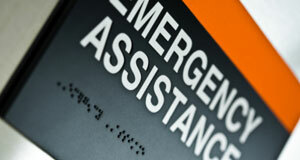 If you are working with a tight budget, we have an array of standard suite signs to choose from. Room Signs – Under the Americans with Disabilities Act (ADA), most buildings are required to have signs that denote rooms that serve a permanent purpose. This includes bathrooms, cafeterias, conference rooms, and more. Lobby Signs – How do visitors to your office know they have found the right place? Without a custom lobby sign, they are left guessing. In addition to welcoming clients, lobby signs for Central Oregon are a perfect way to help boost your brand. Wayfinding – Wayfinding signs are important for getting around any building. Directories installed near your entrance and by the elevators list all of the departments or businesses in your facility, while directional arrows can point the way. Organizations are increasingly using vinyl wall graphics for wayfinding purposes. If you are in need of office signs for your business, contact Blue Barrel Signs today for a free consultation and estimate.